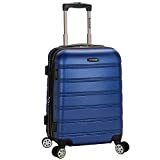 Rockland Luggage is usually at the lower end of the price spectrum. While there are sets that run over $100, they don’t get much more expensive than that. 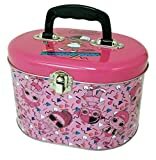 Overall, they focus on products that are brightly colored and provide a wow factor with patterns. Their options are not very business oriented and though the price is right, durability has been called into question. 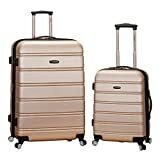 The Rockland luggage line is part of the Fox Luggage group and initially made their appearance in early 2008. One of their appeals is the trendy, vibrant colors they are manufactured in. 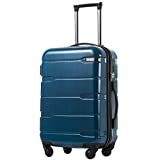 Luggage types in the range span from large suitcases, to carry-on luggage and rolling backpacks.This gives the buyer a variety of solutions for their travel needs. The bags are made with different materials, including ABS and polyester. Overall, customers generally like the brand, pointing out their good value with a few minor flaws. I have presented here three products from the current line for you to check out. 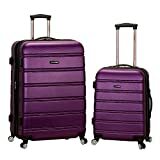 Manufactured with ABS material (the solid, lightweight, plastic-type shell), the Rockland Luggage Spinner Set comes with a 20 inch carry-on and 28 inch check-in size. 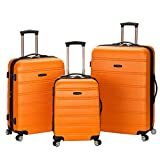 Available in many different colors, the set offers value for those looking to purchase two cases in a set for a reasonable price. 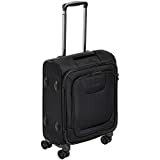 The last of the three products presented in this article, the Rockland Luggage 19” inch Spinner offers a few aspects that are different to the other two mentioned. Firstly, it is made out of 100% polyester, an alternative to the hard-shelled plastic outer casing of the previous products. It is also slightly smaller, available in fewer colors and quite noticeably contains two pockets on the outer front side. In line with other Rockland products, it also places itself in an affordable price range. Being heavier than other available carry-on luggage might become a problem as airline policies get stricter. 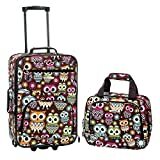 A carry-on bag by itself should not be almost half the regular allowance! 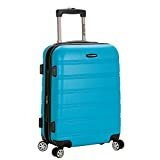 There weren’t too many negative comments amongst users, except for some mentioning again the questionable build quality, specifically with the wheels and handle. Due to differences in monitors/screens - Actual product color may appear slightly different than shown on the site.